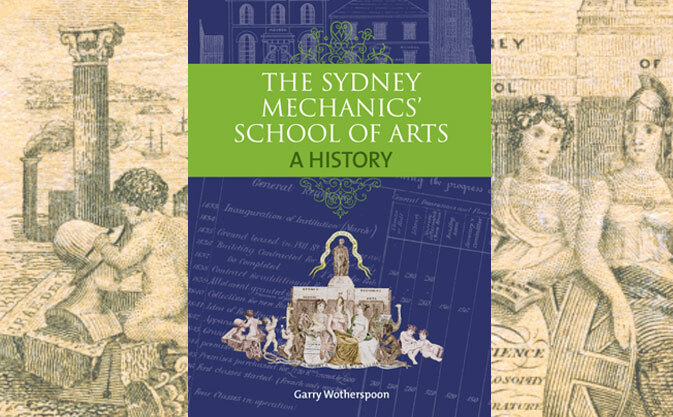 Sydney Mechanics School of Arts: A History, by Garry Wotherspoon, has been short-listed for the NSW Premier’s History Awards. Up against some stiff competition in the NSW Community and Regional History Prize category, the judges praised the “surprisingly engaging microcosm of Sydney’s history” through the eyes of the SMSA. The judges also said: “Garry Wotherspoon provides a thorough overview of an institution that was influential at various stages, and a history that is timely and needed. In piecing together this history, Wotherspoon delves into a broad range of primary material archives and the result is a well-illustrated book demonstrating a deft use of original records. “The commemorative book has been warmly embraced by SMSA’s members, with many positive comments on the beautiful illustrations and design,” says Melanie Ryan, SMSA program an communications manager. “It has also been sought after by historians researching community history and adult education, and is widely held in libraries and historical societies across the state. Sydney Mechanics’ School of Arts: A History can be purchased from the SMSA Library and the State Library of NSW. Copies may also be ordered from marketing@smsa.org.au. $10 members / $20 non-members.